Are you intrigued by the cute little birdies perched up in their nests? Six birds must lay some pretty rich omelette sized eggs. Are you trying to figure is Golden Farm Legit or just another online scam. 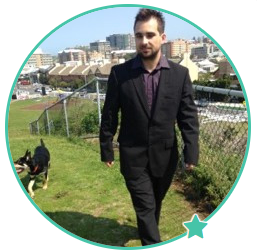 The mechanics of this website are straight forward but can leave newcomers confused. 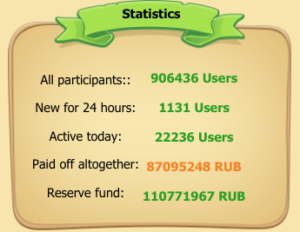 So how exactly can you earn Russian Ruble (RUR) with Golden Farm’s bird bath. We will take a look into this project in just a brief second. But before we take a quick glance at this opportunity. Make sure you brought along your thinking cap today. Golden Farm’s website theme is one for the ages, decorative and cartoon like. Advantageous with stability, 24/7 support and a hefty reserve fund. But, are they really telling users the truth about this. *Costs: Free to join. ₽1.00 Russian Ruble equates to 100 silver coins. *Verdict: Buy birds, harvest eggs, sell eggs, cash out. You be the judge! Gets an average of 90,652 daily visitors. I’m no expert but these are quite remarkable figures. The Golden Farm business claims to be a type of gaming project. The only game like element to this platform is by allowing time to pass by to then collect virtual eggs. The birds that you may purchase will lay eggs steadily overtime, which are then exchanged at the in game market for silver coins. Silver coins are not real money by the way. In game currency. Silver coins can be converted into Russian Ruble during the withdrawal phase, provided that you have enough gold coins which are hard to get. This makes it significantly difficult to withdraw earnings successfully. Upon joining the Golden Farm project you will be gifted a ‘Green‘ bird (Lowest valued bird in the pecking order) and 300 silver coins as a sign up welcome bonus. The psychology behind this website is to invest more funds (real income) to get more silver coins. Only so many eggs can be laid at any given time. Once you run out of silver coins within your account. You need to buy more egg laying birds unless you are happy with the amount of birds that you have. Buy any of the 6 bird species. Each investment will lay eggs overtime. The birds available are as indicated ‘Green‘, ‘Yellow‘, ‘Brown‘, ‘Blue‘, ‘Red‘, ‘King Bird‘. Allow time to pass so that your birds can lay many eggs which are transferred over in the storehouse with a click of a button. Sell storehouse eggs for in game silver coins. Exchange silver coins for real money. Or invest into the purchasing of more birds which will evidently lay more eggs. This sounds like a hook, line and sinker to get readers to believe they can automate income on auto pilot into their accounts. It’s recommended to check out the frequently asked questions (FAQ’s) page before submitting a ticket at the ‘Help Service’ option. Submitting a ticket is the only form of communication available at the Golden Farm platform. There appears to be no maximum limit to the amount of birds that can be purchased. Users are given the ability to purchase as many credits (silver coins) as needed. 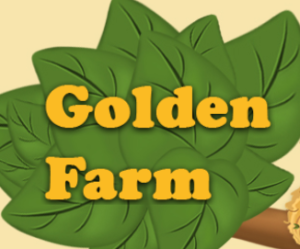 Golden Farm’s partner program allows you to invite friends, or anybody to this dull game. If you have activated your account. In the ‘my referrals’ tab. You can access details about this affiliate incentive. In a nutshell, if you manage to get referrals to join up to the Golden Farm site. Every time your referral replenishes their account, you will earn a percentage of silver coins. There isn’t any significant difference between the pair. If you already own a website or are seeking to learning how to construct a website step-by-step. 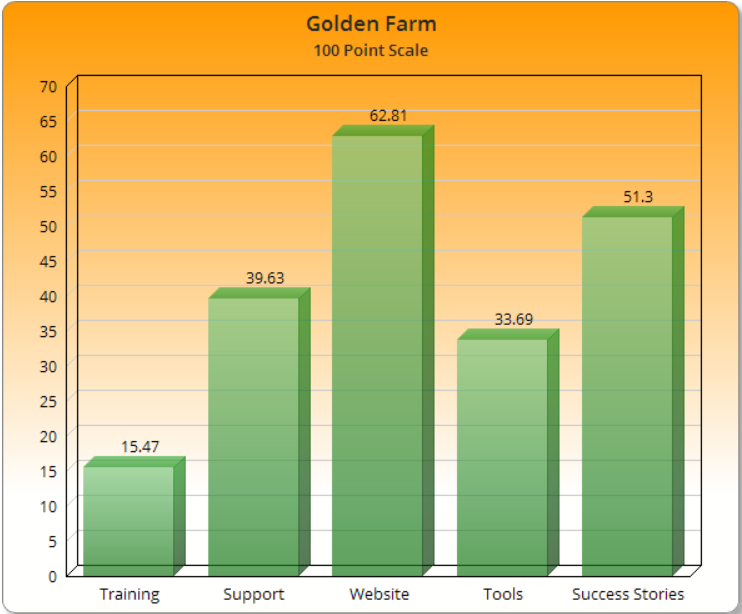 You could market Golden Farm on your website with an engaging blog post. By clicking and accessing the ‘Promo Materials’ page. Copy and paste Golden Farm HTML code into your website to see some visually aesthetic banner ads displayed that have your unique affiliate ID embedded inside the HTML coding. If someone clicks on your banner advertisement and ends up joining Golden Farm. You could earn a steady flow of silver coins into your profile account. With some observations made. People are finding it more difficult than others to make a successful withdrawal. If there is an issue with making a withdrawal submit a help ticket to the support messenger, along with any applicable details. Because there is a plethora of members using this website on a daily basis. Owners/operators of Golden Farm must be paying out on time otherwise there would likely be complaints filed at the Better Business Bureau (BBB) website. 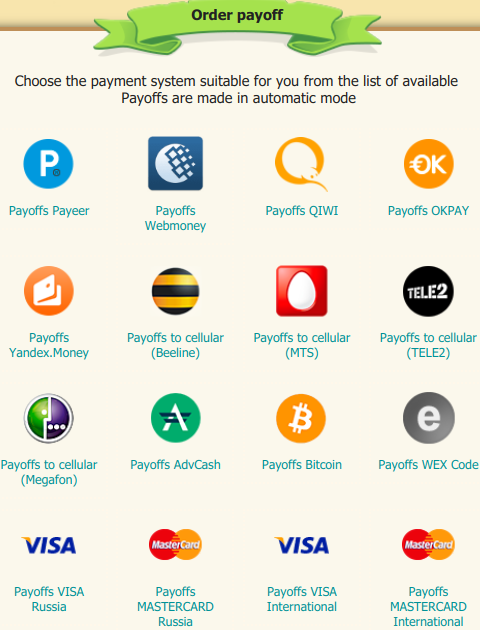 If you navigate to the ‘Payments’ tab there is a list of the most recent 50 payout transactions conducted within this system. The YouTube video below proves that transactions are possible if you have any discrepancies about the whole withdrawal process here. My initial reaction with Golden Farming was that it is a conspicuous scam. I’m sure that many people label this software as a scam when they come unstuck with withdrawing out some rouble. I’m still not 100% convinced that Golden Farm is a robust gateway to financial freedom. It’s hard to believe that you can claim secondary income by basically purchasing birds and mining their eggs. But there isn’t any sufficient evidence suggesting that Golden Farm mining is a scam at any authority sites. I definitely wouldn’t lay all my eggs in one basket though. Golden Farm is not exactly the most prominent way to earning an income online. Just be cautious if you want to test out this site for yourself. Only invest what you can afford to lose if things go pear shaped. 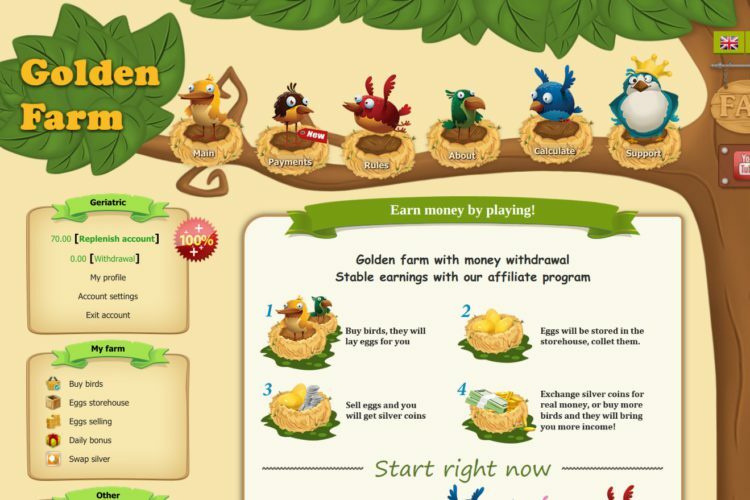 I do not condone using this system, but Golden Farm may satisfy some of those individuals looking for a simplistic method of earning some spare change online. Awarded 300 silver coins plus a ‘green’ bird when you create a free account. Not a complicated system to use. Exchange silver coins for Russian Ruble when criteria is met. Golden Farm is far from any real gaming experience. You will need to invest some funds to get anywhere. There are no details about the owner/s which comes across a little suspicious. You can’t rely on this business model to give you a stable income. 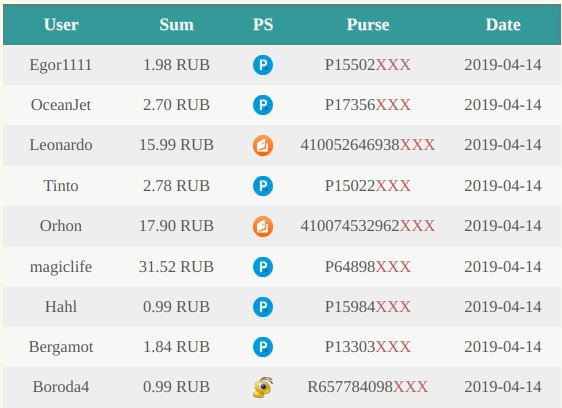 Golden Farm is practically a ruble mining piece of software that accumulates silver coins to trade for real money. The more birds you have, particularly the more valuable bird types. The more eggs will be produced over time. It isn’t too difficult to understand how this website functions. Just be cautious until you know it delivers on it’s promises. I guess one thing that can be taken away from today is that you are never going to be able to make life changing rouble relying solely on Golden Farm’s services. So with that said. Instead of rushing off to the compact and ever so green website. Maybe you might want to take a little sneak peek at a review of this website utopia. All-in-all, Golden Farm is an unorthodox product to say the least. Have you had experience using Golden Farm by any chance? Did you manage to make a safe withdrawal with any of the payment providers listed inside? Let us know in the comments section below. Any questions will be answered in time and remember to share this info to your friends on social media if you enjoyed the read today.